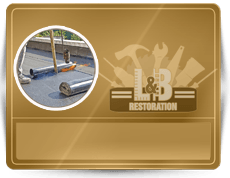 Restoration By L&B, LLC is a full-service remodeling, restoration, and repair company based out of Indianapolis, Indiana. We are qualified and insured remodeling contractors that offer a wide-range of construction services for residential and commercial properties; including residential and commercial remodeling work, repairs, renovations, restorations, replacements, conversions, and much more! You name it, we can do it! Our company is strongly committed to providing exceptional quality, service, and stability for all our clients. 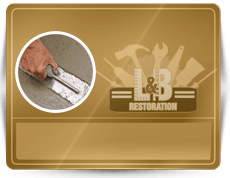 This means you can trust that our highly qualified and experienced general contractors have your best interests in mind when it comes to your home or business restoration needs. We use a comprehensive approach to designing, planning, and constructing remodeling projects and developments. If you simply need some general handyman assistance, we can do that too! We work with property managers, homeowners, real estate agents, business owners, and more. You can reach a live and friendly company representative by dialing 317-454-3612, any time! 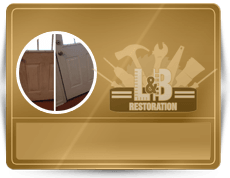 Remodels, Repairs, Replacements, and More! 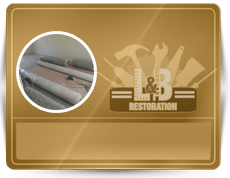 Restoration By L&B, LLC provides superior full-service home remodeling and renovation services you can trust in Indianapolis, Indiana and throughout central Indiana. 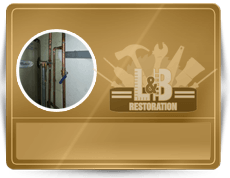 Our company can provide all the home repair and commercial restoration services you can imagine. We can truly DO IT ALL! From bathroom remodels and plumbing repairs, to doors, windows, kitchens, finished rooms over garages (FROG’s), handicap conversions, and more; our highly trained and accomplished general contractors are fully capable of providing unlimited home remodeling and restoration services in the highest fashion. We provide skilled and qualified handyman services, repairs, restorations, replacements, and remodels for residential and commercial properties. Call 317-454-3612 to inquire about written estimates or to schedule an in-home consultation today! Decks, Patios, Porches, Balconies, Etc. Sheds, Car Ports, Treehouses, Etc. We Guarantee the Right Price! 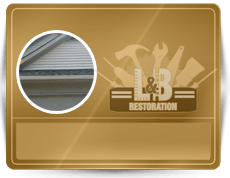 As a small company in Indiana, Restoration By L&B, LLC understands the value of a dollar, and believe everyone should be able to afford home restoration and commercial building repair services. This is why we guarantee the lowest and most competitive prices in town! Not only will we match any competitor’s price, we will beat it too! If you are looking all over the city for reputable and proficient home services you can afford, look no further! We offer written estimates, information, DIY advice, in-home consultations, and much more! Just call 317-454-3612 and speak with a knowledgeable and well-versed general contractor about any needed repair or restoration services you need in Indianapolis, IN. We always treat our clients with the utmost respect; which is why we never use confusing jargon and industry verbiage. We explain our agendas and services in a language our clients can clearly understand, and we are always patient in answering as many questions as they need to ask. Property is one of life’s largest investments; which is why it is important to us for our clients to feel comfortable when making renovation decisions for their building or home. Remember, you don’t have to sacrifice your wallet to protect your investments! And you don’t have to sacrifice quality of service for a lower price! 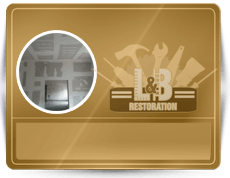 Trust Restoration By L&B, LLC to meet all your home maintenance, repair, and renovation needs at a price that truly pleases! Contact us at 317-454-3612 and speak with a qualified and insured remodeling contractor in Indianapolis, IN today. We are happy to provide information about our services, written estimates, recommendations, and more. When it comes to your home or office, never take a chance with an inexperienced or unqualified general contracting company; instead, trust our highly trained and knowledgeable team to guide you in the right direction and provide you with the most up-to-date and accurate industry information available. Our customer support is unmatched and our dedication to excellence never fades. We use these values and beliefs as the foundation in all our projects and developments. These values only enhance our capability to perform and deliver exceptional results in our industry. 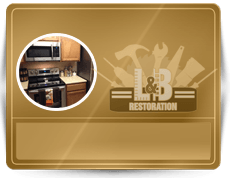 Restoration By L&B, LLC is the answer to your Indianapolis home renovations and remodeling needs! Call us at 317-454-3612 today!